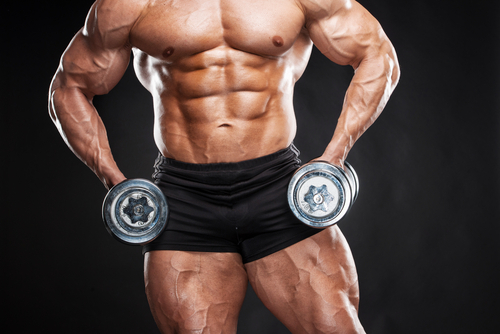 Serratus Muscles: There are three different types of serratus muscles. 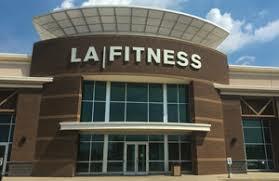 The first is the front one called, the Serratus Anterior (Anterior means “Front”). Second, there are two “posterior” Serratus muscles. (Posterior means “Back” or “Behind”). B) Serratus Posterior “Inferior” (Inferior means “Below”)…..
Rhomboid and Serratus tennis ball message helps take out the trigger points if you cannot find someone to do it for you on a regular schedule. Action: Serratus Anterior : It protracts the scapula (pulls the scapula towards the front of the body). Attachment: The Serratus Anterior originates on the surface of the 1st to 8th ribs at the side of the chest and inserts along the entire anterior length of the medial border of the Scapula between the superior and inferior angles and inserted along the thoracic vertebrae. 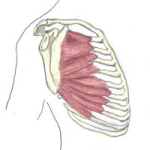 Pain : When the Serratus Anterior is aggravated, pain is felt in the lateral front/side of the mid-chest area, the lower portion of the inferior angle of the scapula, and may project down the medial aspect of the arm. People may complain of pain during deep breathing or a cramp in the ribs while running. People also have difficulty laying on the affected side. 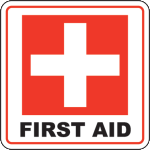 A person may also complain of shortness of breath or cannot take a deep breath due to pain. Sometimes, a person may not be able to finish a full sentence without the need to take a breathe. Attachment: Serratus Posterior Superior(above): runs from the spinous processes of the C6 to T2 vertebrae laterally to the 2nd to 5th ribs. This muscle is covered by the rhomboids and the trapezious. 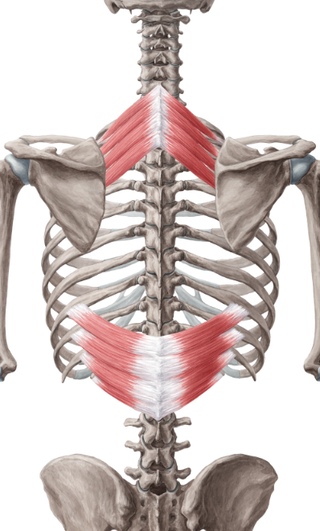 Action: The Serratus Posterior Sperior raises the ribs to which it attaches, expanding the chest and aiding respiration. Other muscles that act with the serratus posterior superior include the scalenes, diaphragm, intercostal costal (rib) muscles. Pain: Pain from the Serratus Posterior Superior and is often described as a constant “deep ache” under the upper portion of the scapula. Pain can extend down the posterior aspect of the shoulder and arm to the ulnar side of the forearm, hand and little finger. It sometimes manifests as numbness into the C8-T1 distribution of the hand. The pain often increases when the patient performs movement that causes the scapula to press against the trigger points of the Serratus Posterior Superior. Movements include lifting objects with outstretched hands, such as reaching overhead to put something away. Sleeping on the same side can also cause the scapula to press against the trigger points and in most cases can be strained and aggravated by aggressive coughing. Attachment: Serratus Posterior Inferior (below) muscle: originates from the deep muscles of the back of the trunk as well as the spinous processes of the lower thoracic and upper lumbar vertebrae. It ascends to the to the 9th to 12th ribs. 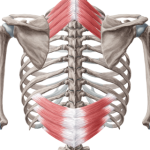 The latissimus dorsi lies above this muscle. 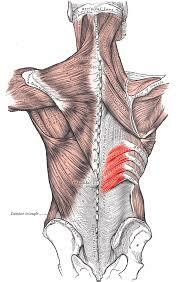 Action: The Serratus Posterior Inferior (Below) produces rotation and bilateral contraction of the spine. Unlike the other serratus muscles discussed, it does not contribute much to exhalation or inhalation. 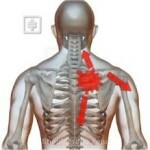 Pain in the Serratus Posterior Inferior is felt in the lower rib area and across the back. It’s usually in the same area of the muscle itself. Someone with this aggravation will describe it as a annoying aches. Both the Serratus Superior and Inferior are known to be among the secondary back muscles. Therefore, their nerve supply comes from the posterior branches of the spinal nerves.